Welcome to the sixth edition of the NHS Health Check digital exemplar project update. This project brings together PHE’s national Cardiovascular Disease (CVD) Prevention team, Behavioural Insight team and PHE's Digital team to use a blend of service design and behavioural insights to look at the potential for digital technology to support the NHS Health Check programme. This update covers work undertaken between 18th March and 1st April. Click here for links to all previous updates. 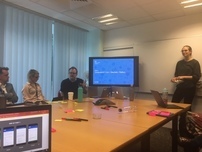 Recap on the journey so far..
To make sure we have an idea of what a ‘physical product’ could look like when embedded into an existing digital product, the team have been working with the NHS Digital, NHS App team. This is not to say that the NHS App is the best and only way forward for this project, it is an initial way of exploring the look and feel of a digital NHS Health Check. Some of the NHS App team have been embedded in the core team for the last month, using tools such as Trello to work together. The design challenge in focus for this 2 weeks of work was: ‘How might we define and visualise how the NHS App could enable a light-touch, convenient NHS Health Check that’s also safe effective and supports end-users end-to-end?’ The was demonstrated through the experience of a specific persona using the NHS App: Bob, a 43-year old man with low risk of CVD, whom we think we could serve well via a ‘digital health check’. This persona was built on our insights from discovery and as we only wanted to test the concept of a digital NHS Health Check potentially being served by the NHS app we only did this for a single persona at this stage. As a beta prototype for the PHE Digital Evaluation project, the NHS Health Check exemplar team have been working closely to prepare for evaluation in alpha and to identify the best methodology for evaluating health products. 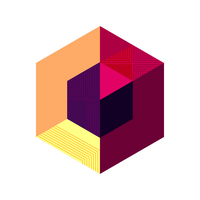 Over the last two weeks, the core team have made a start on a logic model for the alpha phase specifically and to map the user journey for the next phase. This will now be shared with the wider team to ensure that we are all aligned on what the intended health outcomes are, and how we will achieve them. Having worked with our partners in the NHS App team to better understand the look and feel of this user journey has really supported this. The team will then use this logic model, once finalised, to underpin the success indicators for the evaluation strategy for the alpha phase. Further updates to follow. During Alpha we will collect feedback about our hypotheses (using storyboards) and test early concepts and prototypes with end users, providers and commissioners. Research methods will include interviews, surveys and, where possible, observations of NHS Health Check consultations. The service design team are working closely with the behavioural insights team to develop an alpha user research plan. The NHS App collaboration may also provide an opportunity to test with non-users of the NHS Health Check (i.e. their existing NHS App testing participants who are eligible for an NHS Health Check but either haven't been offered or haven't taken up their offer of a check). Your views will be critical in finalising this research plan. We will be using the postcard to gauge interest so please watch this space. The Centre for Behaviour Change (CBC) and PHE's Behavioural Insights team are in the final stages of completing a systematic review of evidence and behavioural analysis to identify key drivers (i.e. barriers and facilitators) of whether people initially take up an NHS Health Check and then continue to engage. The results of this work will not only inform the development of interventions that we will be testing in the Alpha phase of the project but can support more widely improvements in the implementation, delivery and impact of the NHS Health Check programme in primary, community and social care settings in England. Based on several knowledge gaps that this study identified, Centre for Behaviour Change (CBC) and Behavioural Insights team have now decided to conduct a scoping review of interventions to promote NHS Health Check implementation. The aim of this work is to identify interventions implemented in England to promote NHS Health Check-related behaviours, collect materials relevant to interventions identified and propose future research based on findings. "How might we improve the way end users receive, understand and act on their NHS Health Check results, and the way the results are delivered, to motivate necessary behaviour change?" We are also completing and submitting the business case to allow us to continue to progress.